The last few days have been atmospherically messed up in the much of the US. Denver got snow in May. California’s got Santa Ana winds and fires burning out of control. Dallas has got cooler than usual temperatures and epic thunderstorms. While the Urban Farm totally digs the big drinks of water (everything is ultra green) it’s been getting and it’s appreciating the break from 90°F temperatures, sweet George is not exactly a happy camper. You see, George senses every change in the weather. He’s a canine barometer. And he’s terrified of loud sounds of any kind. So Texas-sized thunder booms are not sounds he likes to hear. This morning, he tried to hide in my closet. And he tried to sneak out the back door and go to work with me. What he really wanted to do is snuggle with someone all day long. He pants. He paces. He freaks out. He is nothing like his usual slobbery kiss-giving snuggly self. He doesn’t make his special happy sounds. He won’t get a tennis ball. 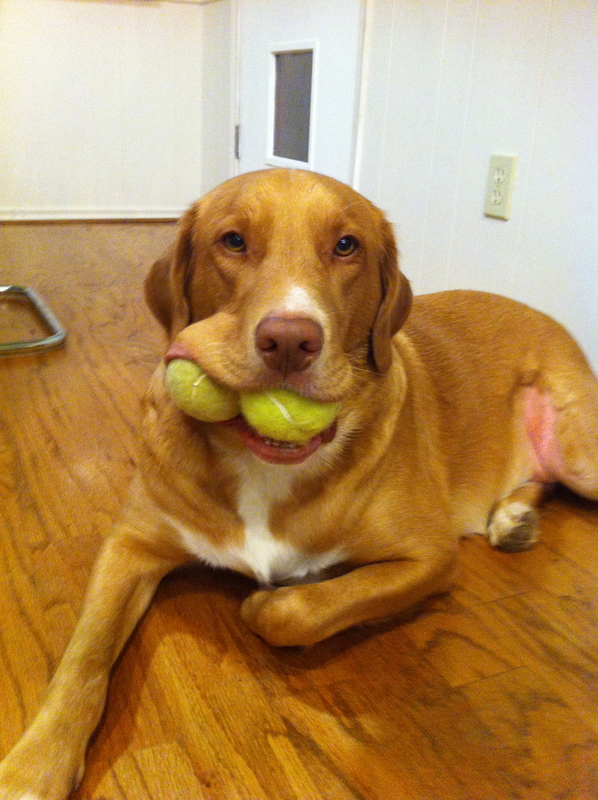 Even holding his “babies” (his stuffed toys) in his mouth doesn’t give him comfort. But the Thundershirt does. When we know there’s stormy weather coming, George becomes a doggie burrito. We swaddle him like a newborn in his special velcro covered shirt. Maybe the other Gs laugh at him a little. He doesn’t care. He may look a little silly, but he can relax. So can we. They have been so effective for George that several of our friends have tried them on their dogs. 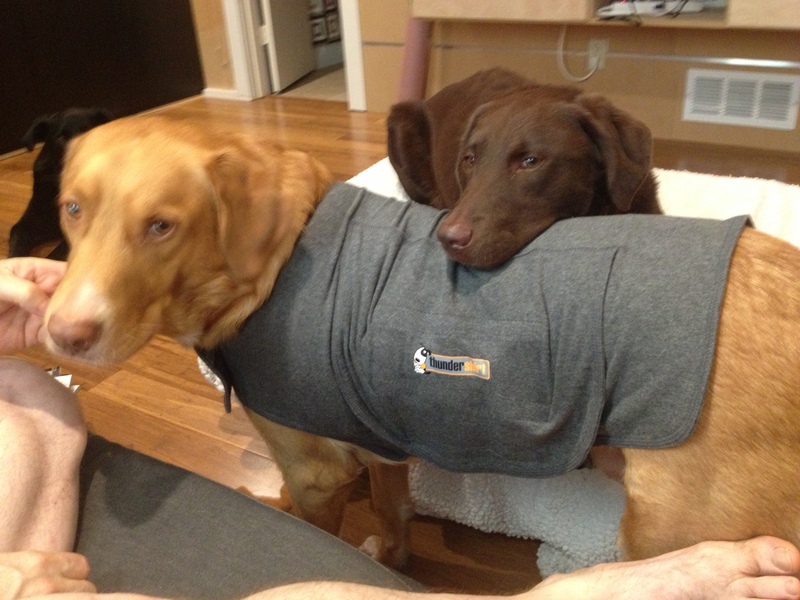 Would you buy a garment to help your dog relax?